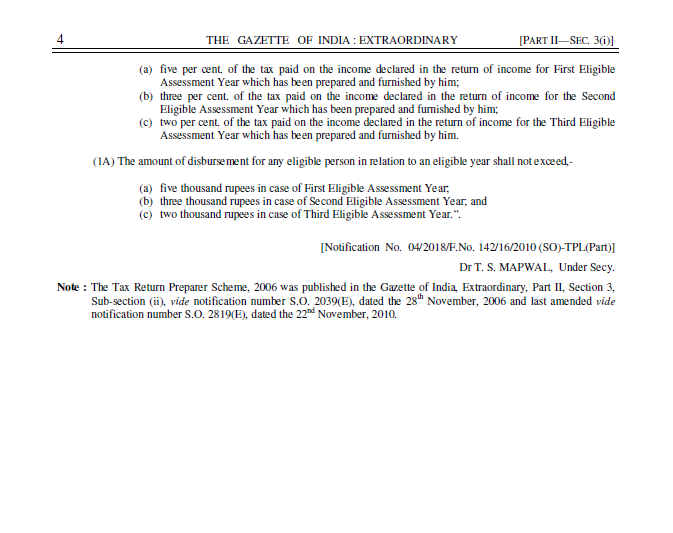 (a) It shall require that the application under clause (i) shall be accompanied by a fee of two hundred and fifty rupees, and failing which the application shall be invalid”. Short title, commencement and application. 1. 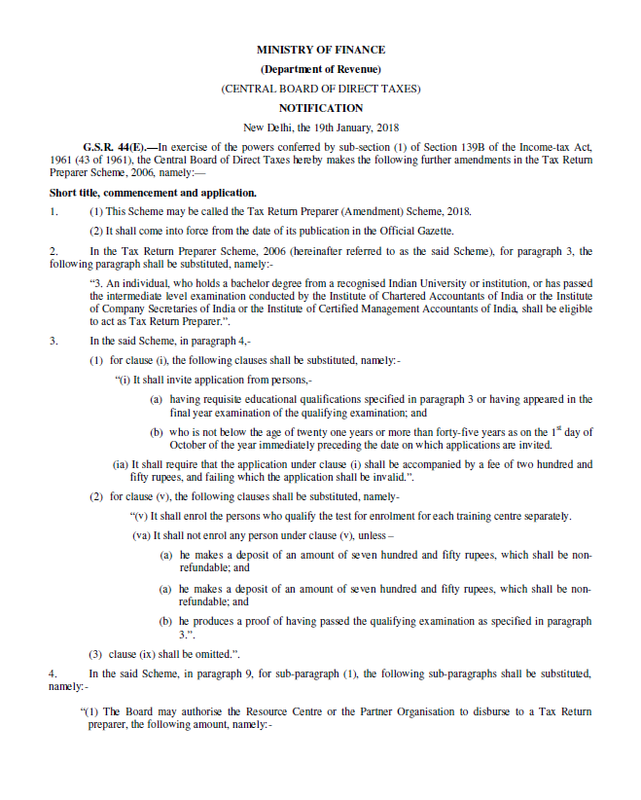 (1) This Scheme may be called the Tax Return Preparer (Amendment) Scheme, 2018. (2) It shall come into force from the date of its publication in the Official Gazette.